Why? Because they’re waiting for me. The books—the brand new books, still snuggly packed in their cardboard boxes— are waiting for me to release them. Every Tuesday, the new releases make their way to the shelves for the first time. 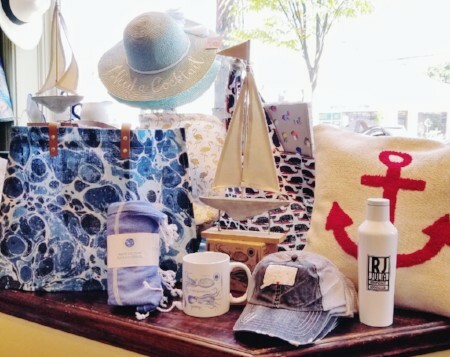 For me, and all of my fellow booksellers here at RJ Julia, there’s only one thing more exciting than seeing our favorite new books arrive and that is putting those books in the hands of you, our loyal customers. Some came out last Tuesday, some came out this Tuesday, and some don’t come out until two Tuesdays from now—but we’re excited and passionate about all of them and we hope you will be, too. 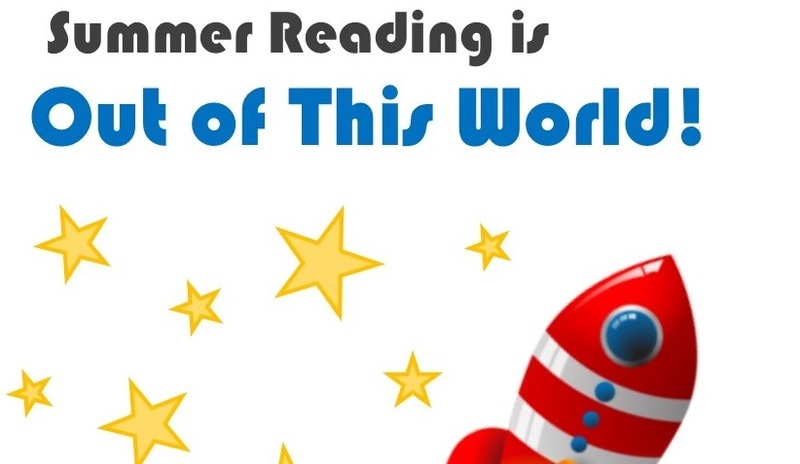 Here are a few of the best summer fiction reads of 2018! 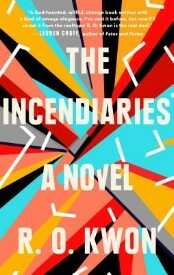 A remarkable debut, this novel vibrates with heart and conflict. Will loves Phoebe deeply, even in the face of her increasingly dangerous ties to an extremist cult. The familiarity and depth of their fears, desires, and regrets touched me profoundly. Thirteen-year-old Jon loves Spider-Man, fluffernutters, and his best friend Chloe. Then he gets kidnapped. 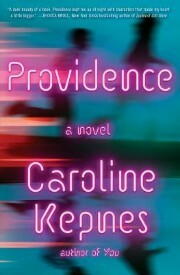 Providence is a unique combination of mystery and heartbreaking love story, with a dash of Lovecraft thrown in. I found it completely addicting. 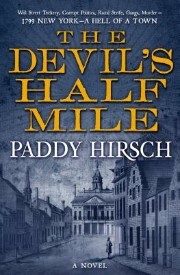 Paddy Hirsch initially started writing this as a nonfiction book about Wall Street after the panic of 1792, but then he was inspired to transform it into a riveting noir crime novel. What you end up with is a twisty, authentic portrait of New York City at a pivotal time. 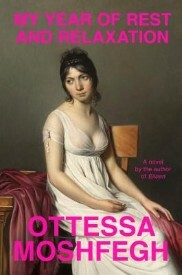 Utilizing an array of pharmaceuticals and an irresponsible psychiatrist to escape into a year-long hibernation may seem like a terrible idea, but Ottessa Moshfegh has masterfully turned that very premise into one of my absolute favorite recent novels. This book has all the ingredients of a summer hit. In the wake of a tragic plane crash, two women—a widow and a journalist—try to solve the same mystery from completely different vantage points. 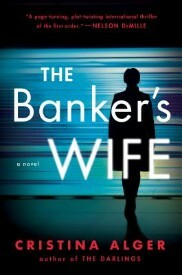 Elevated by truly outstanding twists, this thriller stands out from all the rest. Trust no one! This portrait of the lives of 110-year-old Sayoko San, her Filipino nurse, and a robot will give you a bit of Japanese history while framing the moral dilemmas of the future of Artificial Intelligence. 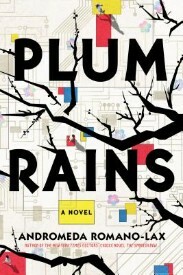 Set in Japan in 2029, this is a unique and thought-provoking not-quite-science-fiction story. 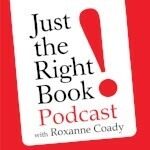 I was chatting with a small customer the other day who revealed that she doesn’t go anywhere without a book. Early chapter books with science-loving characters are her favorite! I remembered my own kids did the same thing because, let’s face it, every summer kids spend an unhealthy amount of time…..waiting! Waiting for their playdate to arrive, waiting for their little brother’s swim lesson to start, waiting for their big sister’s dance lesson to finish. Waiting, waiting, waiting! Arm yourselves, Moms and Dads, with a bag of books! 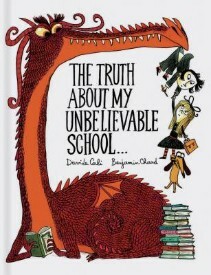 An absorbing book can take the kids miles away from an endless car ride or teach them things that are weird but true! Head off those bored exasperated sighs and hand them a book. They will thank you (“Can I just finish this chapter first please?”). 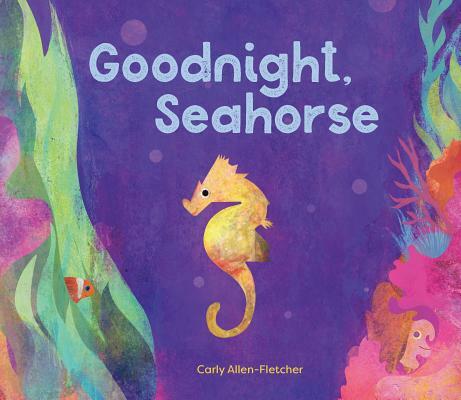 Introduce your child to sea creatures as a little seahorse makes his way to sleep. Gorgeous colors inhabit each page and the story is sure to lull a tired toddler to bed! Interactive board books are so clever and exciting! 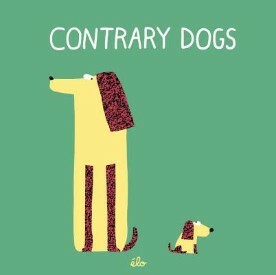 Contrary Dogs introduces opposites to children in a unique, fun way. Moving can be a very scary experience, especially for kids. 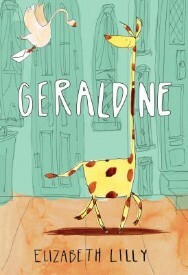 Geraldine the giraffe does NOT want to move... until she makes a new friend who is just as unusual as she is! A great book for kids struggling with the idea of moving. Ryan Higgins, author of Mother Bruce, is BACK! Penelope the dinosaur is excited to meet some new friends at school...until she finds out they are children! Can Penelope control her hunger? 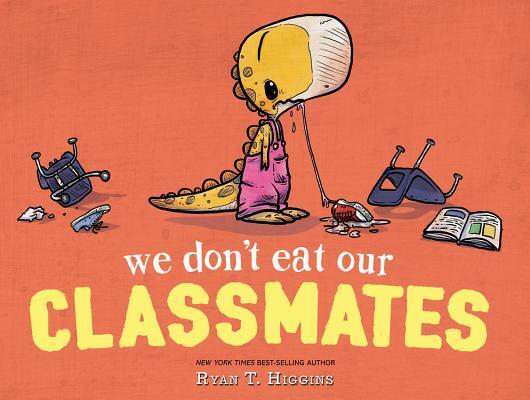 Hysterical and sweet, Ryan Higgins hits it out of the park again with this great story. 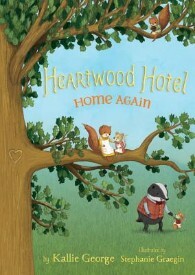 Heartwood Hotel fans rejoice - the next adventure in the lives of the Fernwood Forest creatures is here! Full of weddings and life saving rescues, this book is sure to satisfy fans and new readers. This is one of my new favorite books! It’s suspenseful, mysterious, and has so many twists and turns you don’t know where the story is going to go. 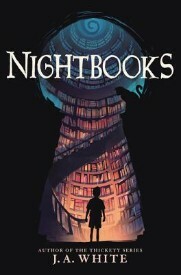 I highly recommend this book to lovers of fantasy and scary stories. 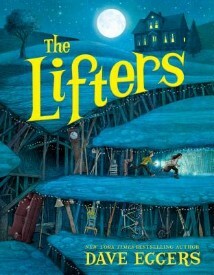 I was intrigued that award winning author Dave Eggers had written a middle grade story and I had to read it! What I found is a heartwarming and funny tale about a boy with plenty of family struggles. This book will surely be found on the 2018 best books lists. A well-plotted story from start to finish! Scott Reintgen knows how to hold back just the right amount of information to keep you on the edge of your seat. In fact, he so totally kept me wondering what would happen next that I read this book in three days! 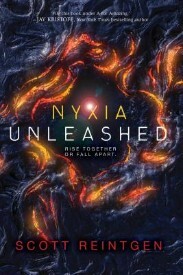 Pre-order Nyxia Unleashed now! The first five pre-orders will receive a FREE copy of Nyxia! Nyxia Unleashed hits shelves 7/17. Living in outer space is difficult. 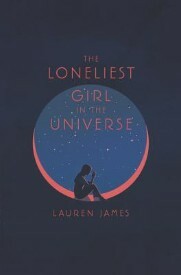 Living in outer space alone is even worse. Romy must find her way home after her astronaut parents die, but the crew coming to save her may have other plans than just a rescue mission. This sci-fi thriller leaves you anticipating every chapter!